A few weeks ago I hinted at something at the end of this post that I never thought could happen. 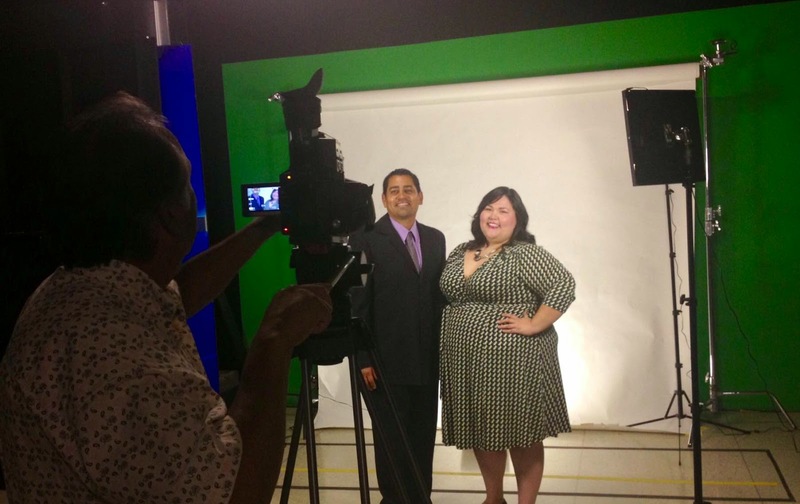 I had an amazing opportunity over the summer to be interviewed by ABC30 (watch that clip here). They wanted to share my story about blogging, YouTube, and self acceptance. I had no idea that would lead into a TV spot for Hispanic Heritage Month. National Hispanic Heritage Month celebrates the history, culture, and contributions of Hispanic Americans in the United States. It begins on September 15 and ends on October 15. ABC30 honors this month each year with a special commercial. This year they featured Rob Isquierdo of the Library for London Project and I in their month-long PSA. Ah-mazing! Hispanic Heritage Month from ABC30 Creative on Vimeo. I can't begin to tell you how much of an honor this is to me and my family. 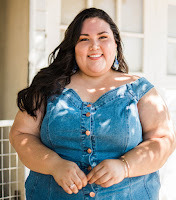 From the examples of hard work set by my parents and relatives to the constant presence of a rich Mexican culture in my small agricultural hometown, I am so, so, so blessed to have this experience and spread the message of plus size fashion and self worth to my community. The PSA will air for one more week. Catch it daily on ABC30 or watch it above, and read more about Rob and I here on ABC's website.